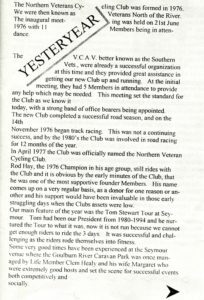 Northern Cycling was established as Northern Veterans Cycling Association in 1976 to provide racing opportunities for cyclists outside the professional selection arena. 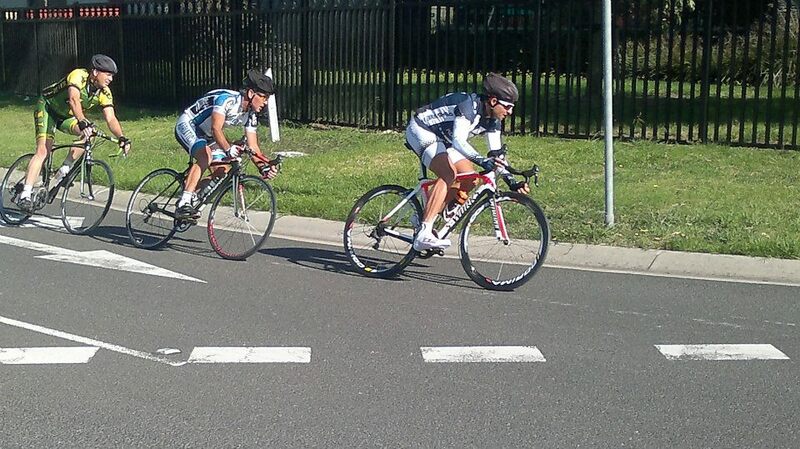 Northern offers a safe, social and competitive environment for bike racing throughout the north of Melbourne. 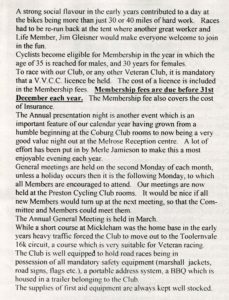 Northern Cycling organises weekly races throughout the year. Membership is open to men aged 35 years and over and women aged 30 years. The ages of members range from 30 to 80 years, with a median of around 50 years of age. The club runs road races in handicap, scratch and time trial formats, and works hard to ensure all members have equal opportunity to compete safely and enjoyably. For almost all races the riders are not grouped by age, but on the basis of individual ability, so that all members can enjoy competition within a group of riders with similar performance. 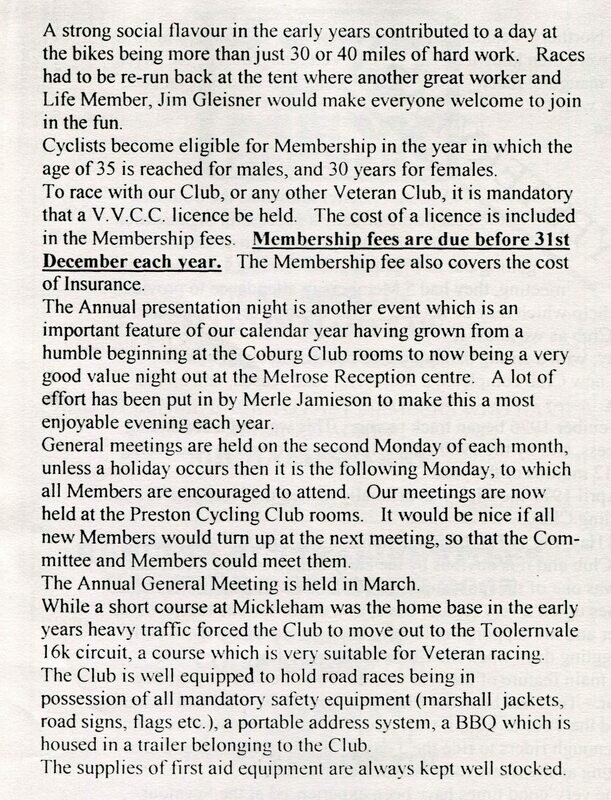 The name ‘veteran’ could imply that members have been racing from a young age and become a veteran when they ‘slow down’ a bit. Although this may have been the case in the past, currently a growing number of members are ‘recreational’ cyclists looking for another challenge and join the club to take their fitness and skills to the next level. In addition, quite a number of members switched to racing from another sporting activity like running or triathlon, because cycling is easier on the joints, especially knees. Northern Cycling aims to promote masters cycle racing as an exciting, thrilling sport for everyone who is interested a healthy life style, likes a challenge and wants to take their fitness to the next level. 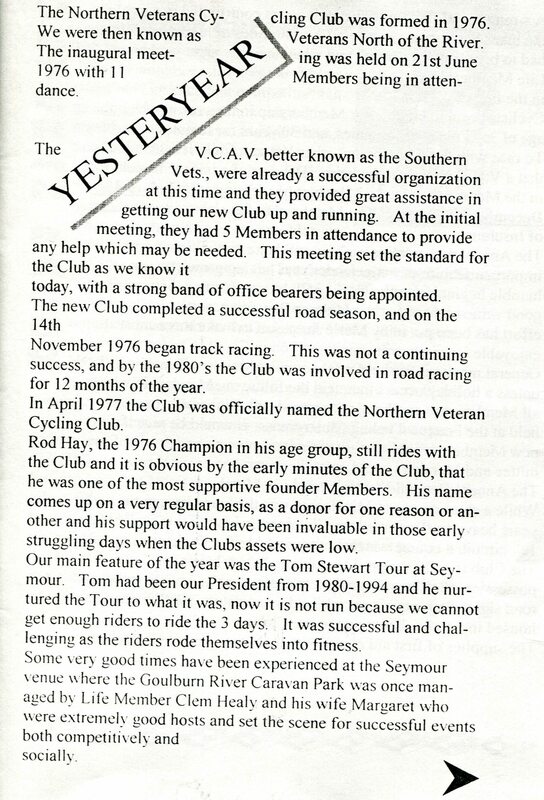 Northern is affiliated with the Australian Veteran Cycling Council (AVCC), the umbrella organisation for veteran cycling in Australia, and its Victorian state body, the Victorian Veterans Cycling Council (VVCC). More information on these organisations can be found on their websites. General Meetings of the Club are held on the second Monday of each month at 6:30pm Abruzzo Club, 377 Lygon Street, East Brunswick. All members are welcome to attend – come along and have a say in how the club is run. The Club celebrates its 40th anniversary in 2016. The following excerpts are from a Club history compiled in 2003.